Here are finish times of 17,580 Boston Marathon finishers. These results were derived from data on the Individual Athlete Tracking page on www.baa.org. 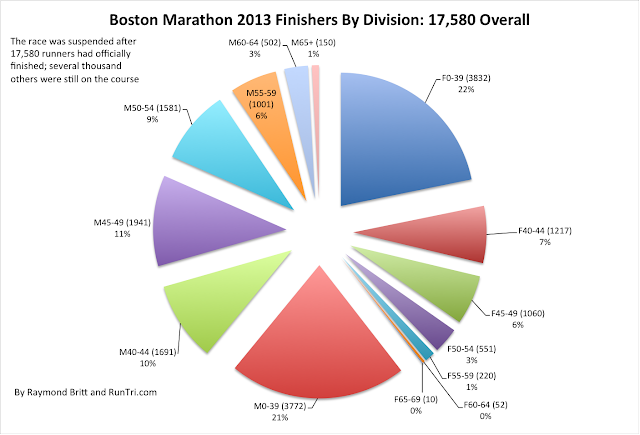 For comparative stats, see our Boston Marathon 2013 Results Analysis. For more, see www.RaceBoston.com.